High density sponge seat (2"). 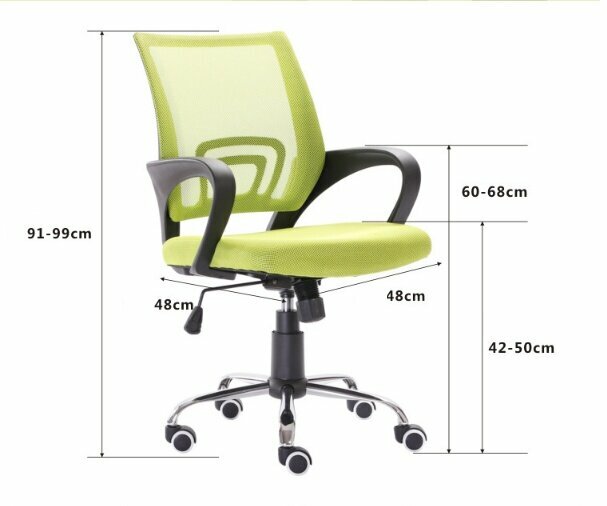 Max weight for seater is 100kg. 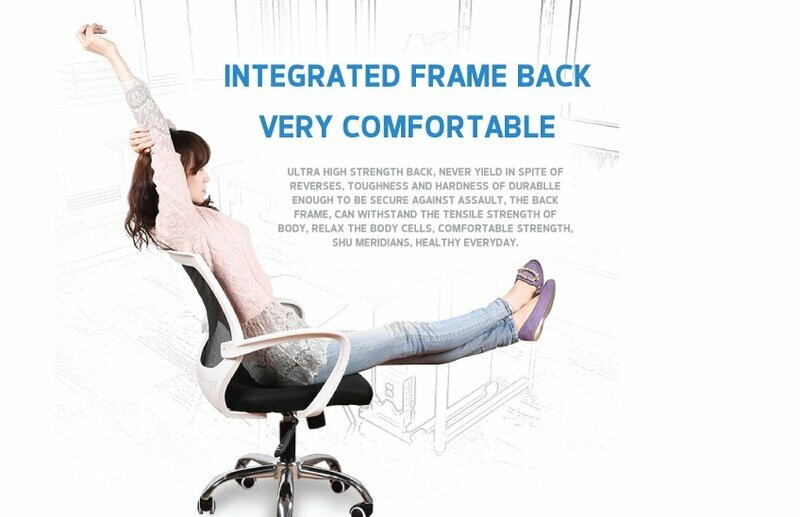 More comfortable compared to flat back chair. 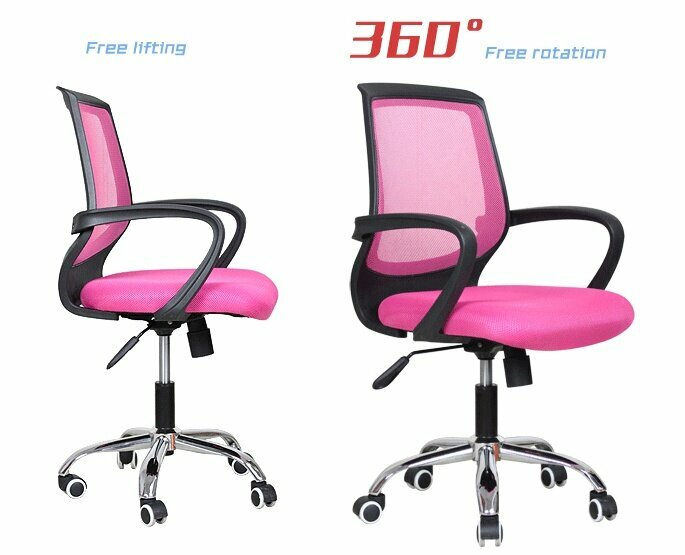 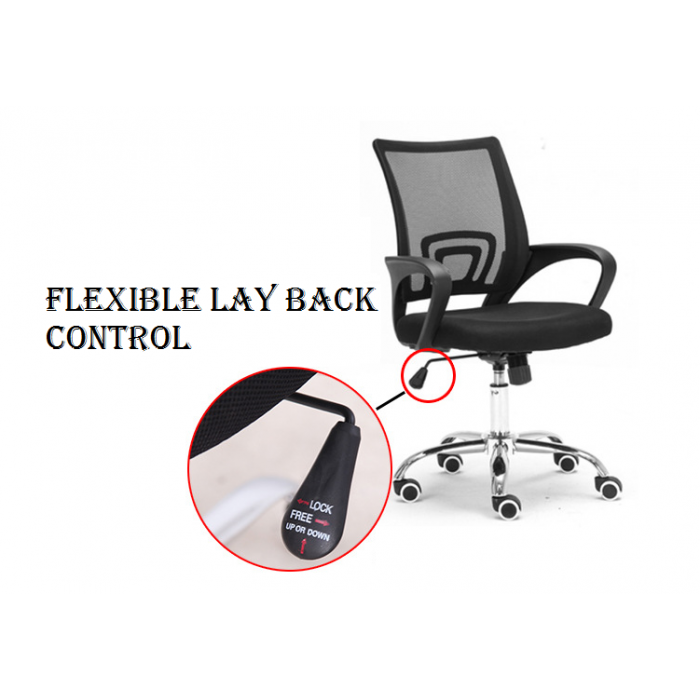 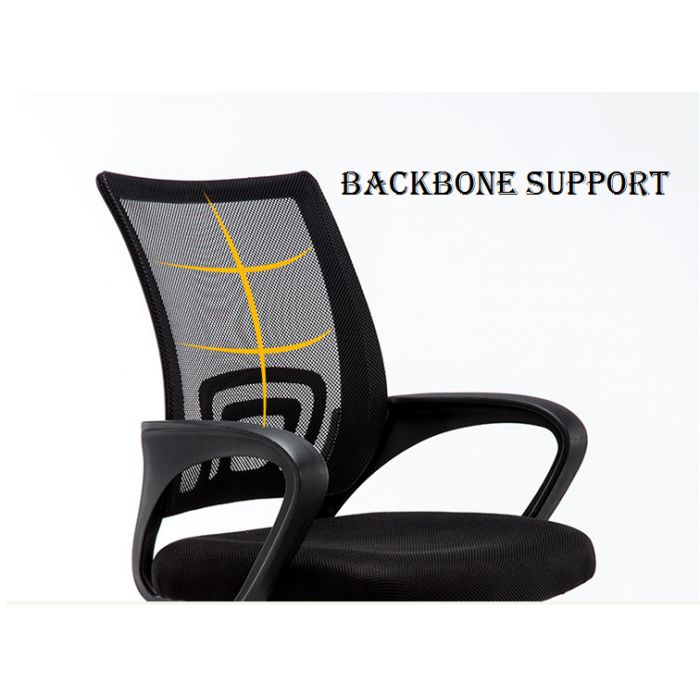 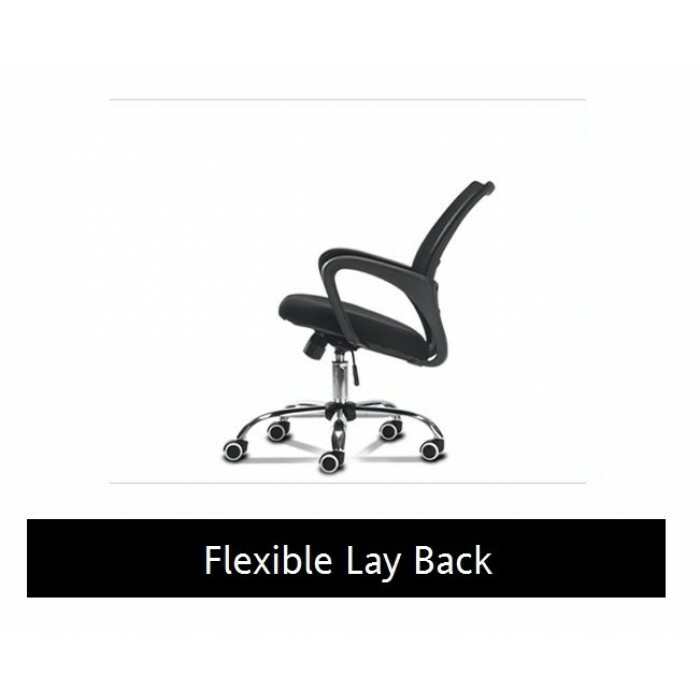 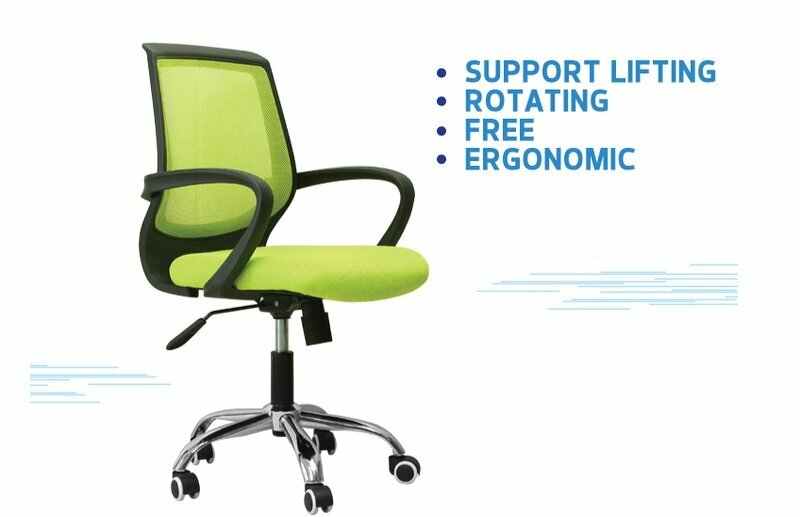 The Arc-type back of the chair helps user to sit and lie backward comfortably and get loose the stress of the back which allow user to sit on it with lengthy period. 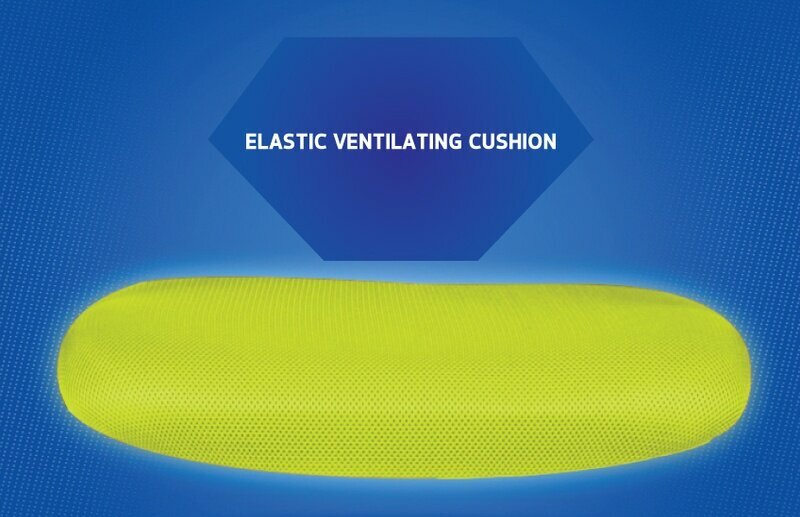 Breathable and durable mesh design. 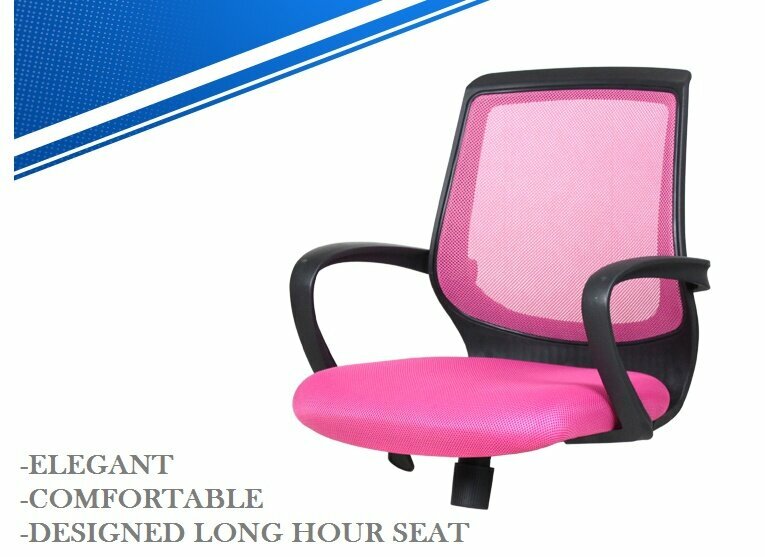 The mesh design provides the abilities of dustproof and stain resistant, easy to clean and effective flame retardant to the chair. 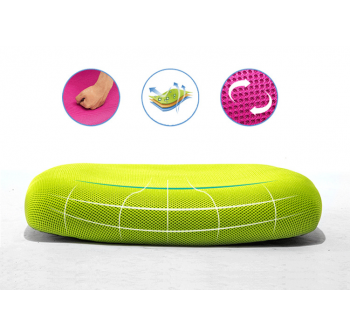 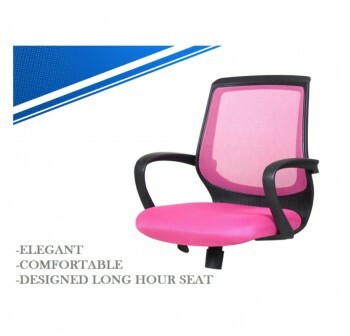 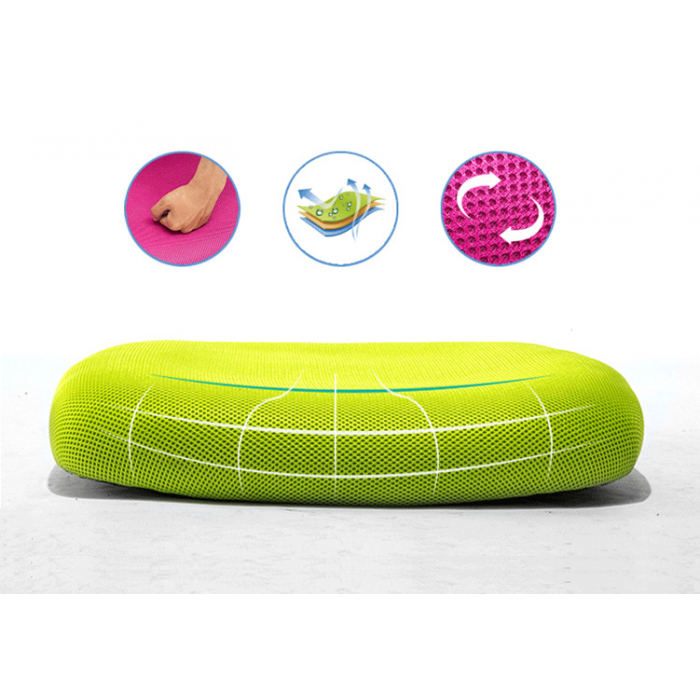 Thick elastic cushion with high density, antibacterial and comfortable elasticity that allow user to sit properly and healthy. 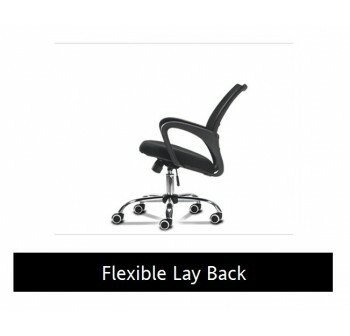 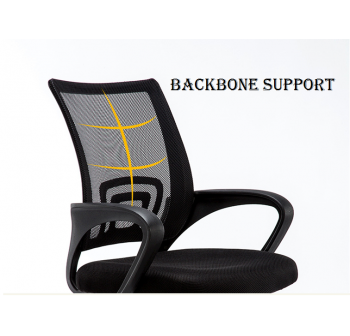 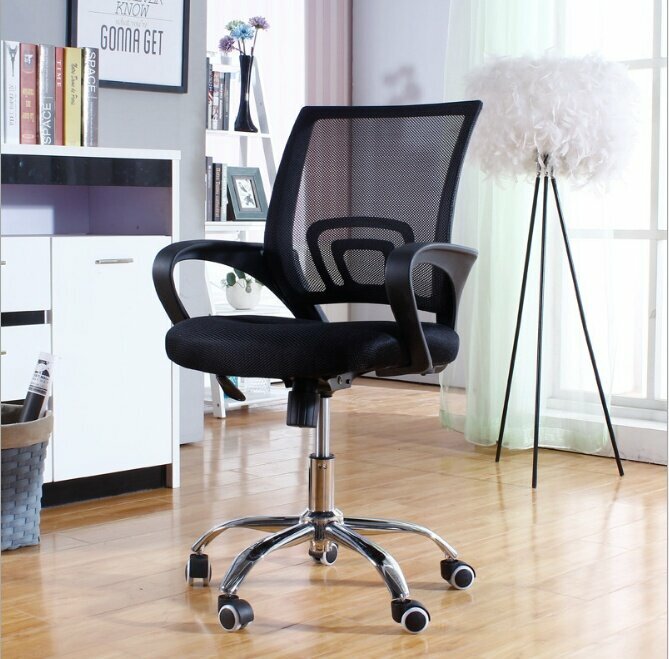 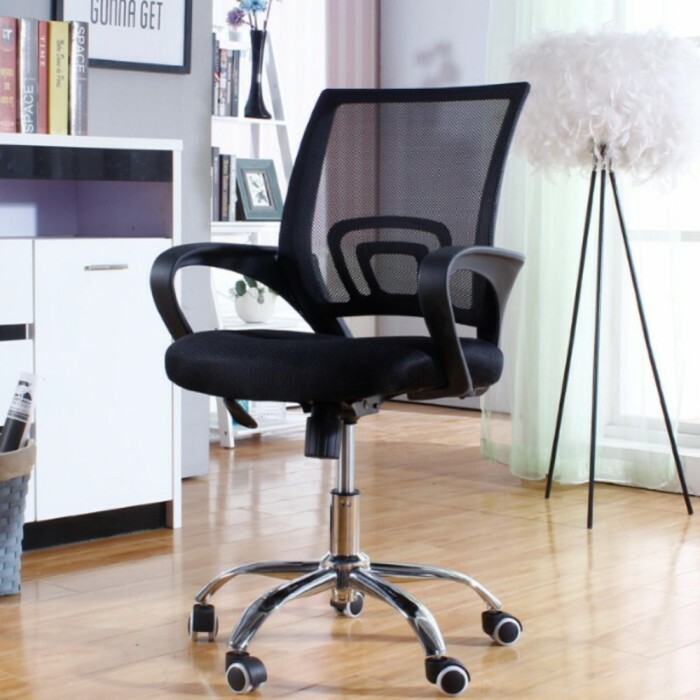 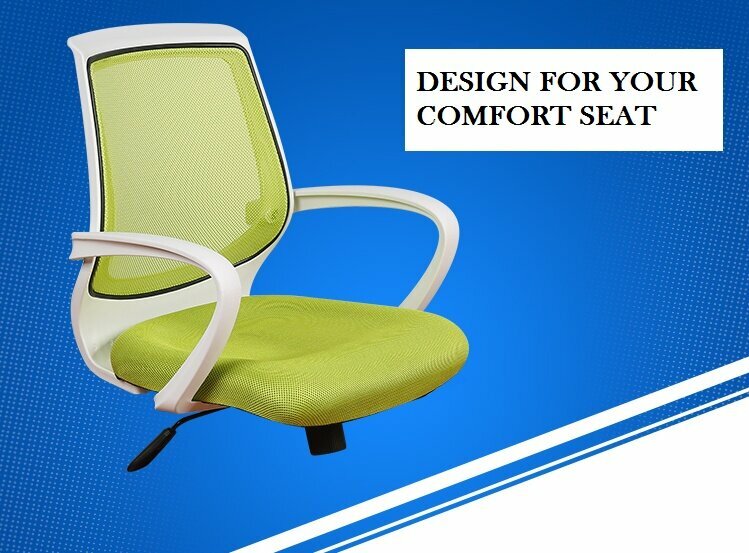 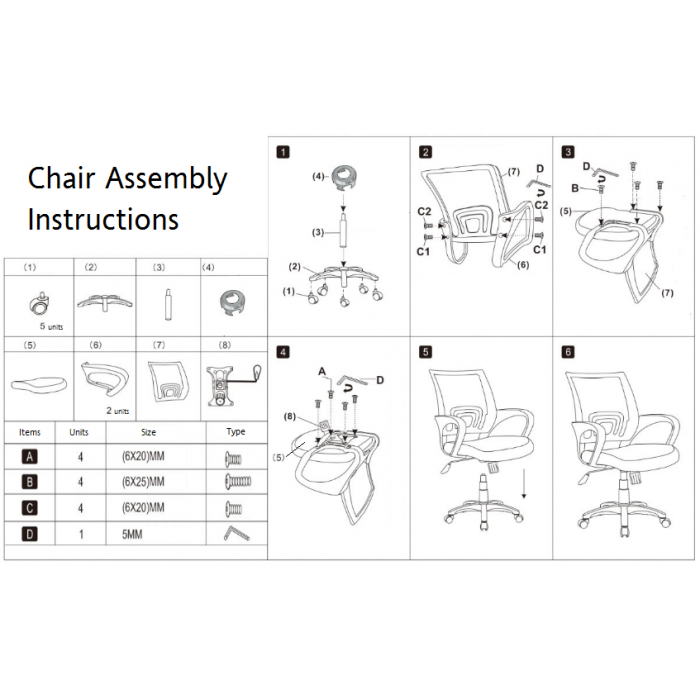 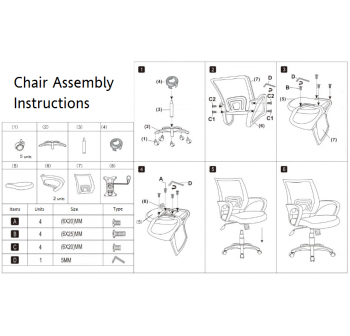 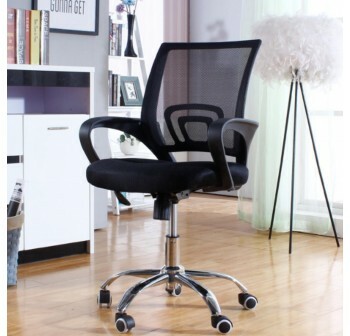 The tray of the chair comes with anti-crack steel bar mechanism which is safer and more stable for user. 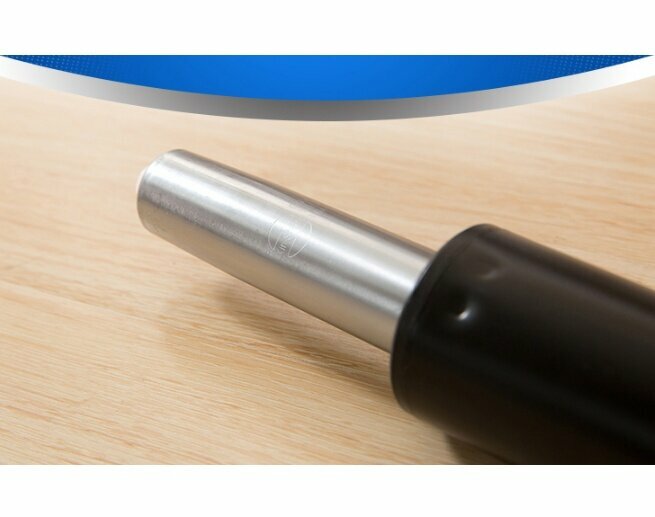 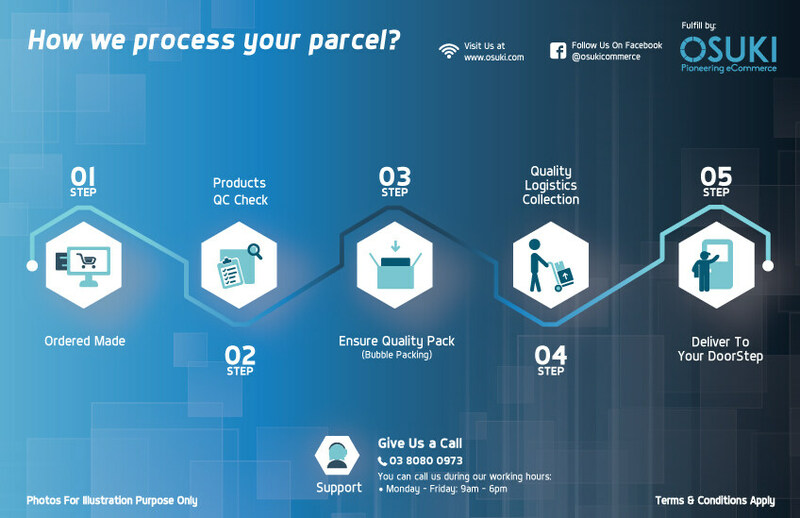 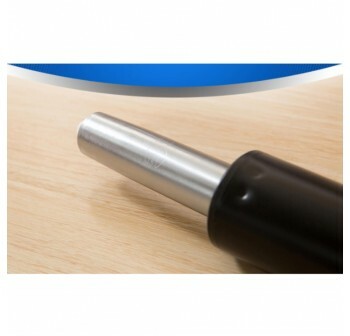 Approved and certified pressure bar from SFS and America's BIFMA test, safety is guaranteed. 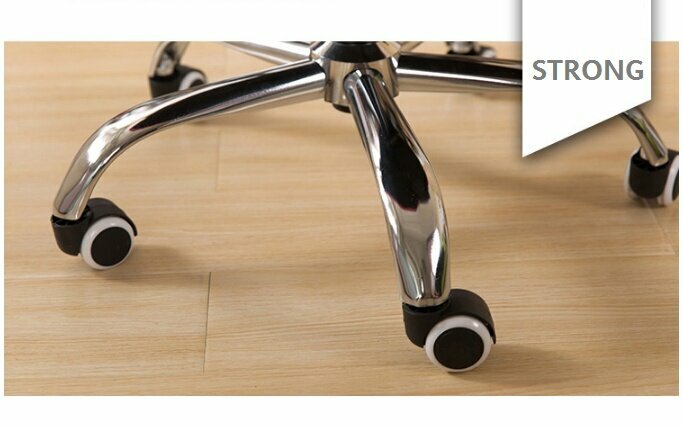 Five-star shape steel foot pulley which is much more smooth and safe than nylon foot pulley. 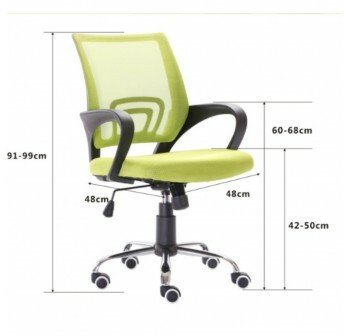 Quiet and won't cause abrasion to the floor. 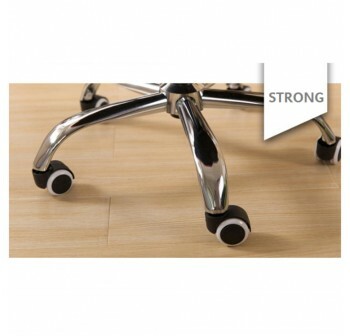 Pulley is made by soft rubber with prevent the floor from abrasion and protect the pulley for durability.